At the Annual General meeting of the Ōtaki CAB, three long-serving members were recognised. 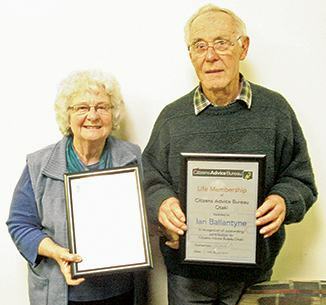 Jan and Ian Ballantyne were awarded Life membership, in recognition of over twenty years service. National President John Britton, himself an Ōtaki man spoke warmly of their great contribution to the town. CAB’s CEO Kerry Dalton spoke of the unique contribution of the Ōtaki branch. It’s one of the few bureaus in New Zealand that functions without paid staff. “Ōtaki always contributes” she said. 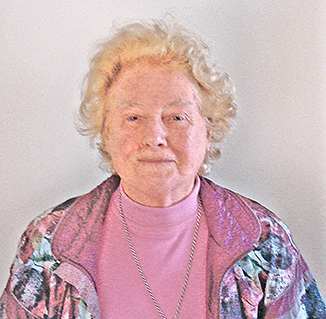 Her tribute to Joan Mattingley’s 40 year contribution to the movement spoke of Joan’s “great vision that had strengthened the organisation”. Her forty years of service, which included time as President were without compare.